This release could be seen as a continuation of the ideas laid forth in the Jute Gyte split with Venowl, as it is another pair of 20 minute long tracks. Jute Gyte opens with more of his trademark sound we've come to expect, although maybe faster than ever with the addition of more layers of lightning fast drum machine accompanied by layer upon layer of guitar and demonic growling and shrieks. For his half Ecferus delivers a sound that is slightly more straight-forward texturaly, but as far as the structure of the songs is concerned, they are as complex as the most long winded of prog bands. In a black metal world getting progressively watered down, these two acts stand boldly on their own, creative yet unrelenting as anything, and only for the truly enlightened enthusiasts of extreme sound. 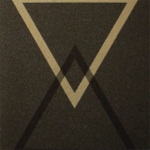 Comes with a four-panel j-card with black and silver ink offset printing on black metallic stock and a silver ziploc bag with black volcanic sand from Maui. 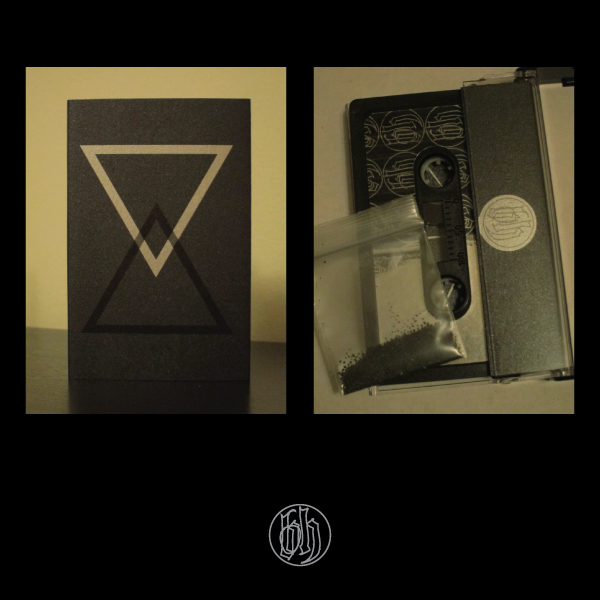 Edition of 100 copies on black tapes with silver labels.